(MEMPHIS, Tenn.) –The Cotton Board wants to see your best cotton photos. One winning photo will be selected and featured in The Cotton Board’s 2018 Industry Calendar. 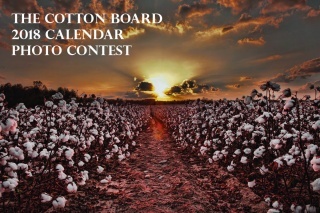 To be eligible to win, contestants must first “like” The Cotton Board Facebook page and then email their high-res jpeg photo to sgorman [at] cottonboard [dot] org. Up to three entries per contestant will be considered. The contest ends on October 6, 2017. Cotton Board staff will vote to determine the winning photo. The Cotton Board calendar has become an industry staple and is directly mailed to every cotton producer and ginner in the U.S. 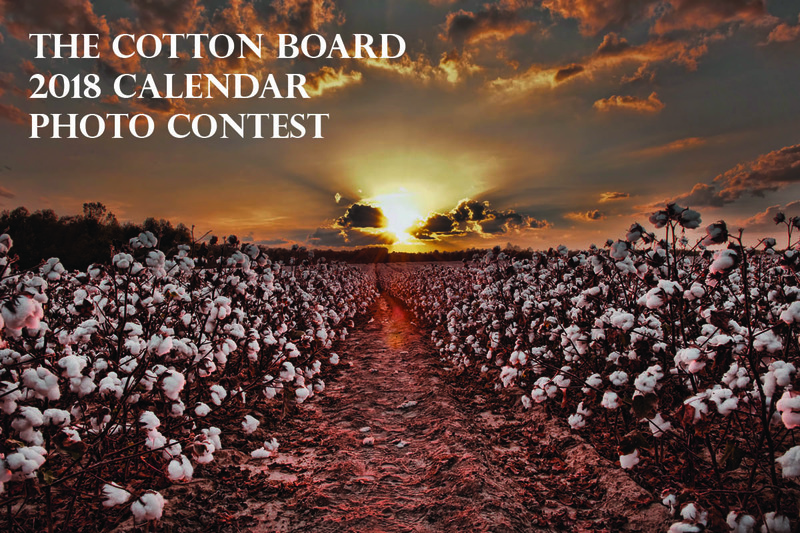 The winner will have their photo, along with photo credit, featured in the 2018 calendar and will also receive a cotton prize pack, including 25 copies of the calendar to share with friends and family, a cotton blanket, and other cotton prizes. About The Cotton Board: The Cotton Research & Promotion Act established the Cotton Board as a quasi-governmental, non-profit entity to serve as the administrator of the Cotton Research & Promotion Program. Funded by America’s cotton producers and importers through the cotton check-off, the Program’s research and promotion activities are conducted worldwide by Cotton Incorporated, the Cotton Board’s sole-source contracting organization, to increase the demand for and improve the market position of cotton. The Cotton Research & Promotion Program continues to work in all areas of cotton’s pipeline – from the field to the consumer – to keep cotton the number one fiber choice in the U.S. For more information about the Cotton Board and the innovative activities stemming from the Program, visit www.cottonboard.org.